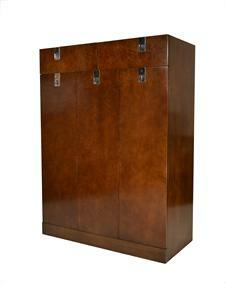 "Modern Collection" #1821 Armoire "Master Chest"
Important modern armoire; fine birdseye maple panel door faces. Polished nickel hardware. 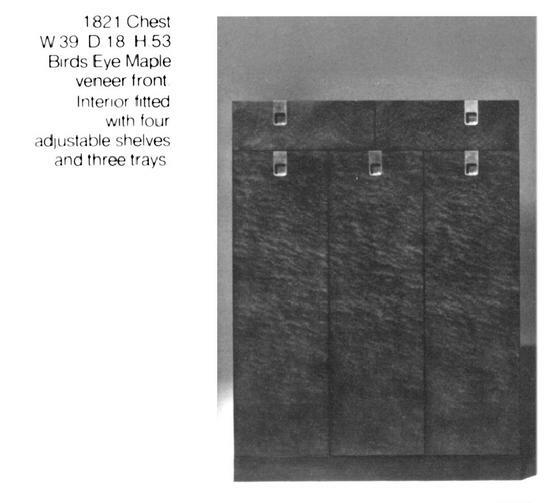 Single door on left with three adjustable shelves; double doors on right with one adjustable shelf over three drawers. Umber finish. Very Good original condition. Birdseye maple door faces show beautifully. Doors are tight; drawers operate smoothly.